This week we were visited by Sara and Greg who are traveling OVERLAND from New Zealand to Spain. Sarah is an Architect who is researching earth building throughout the world. Greg is a specialist in water management. It was great hearing their stories of earth building throughout the world. We were able to show them only some of the many local earthern houses of pacific palms. Their visit made me realise how important it was for me in visiting other people’s earth homes. A good place to start would be to contact your local earth building association. 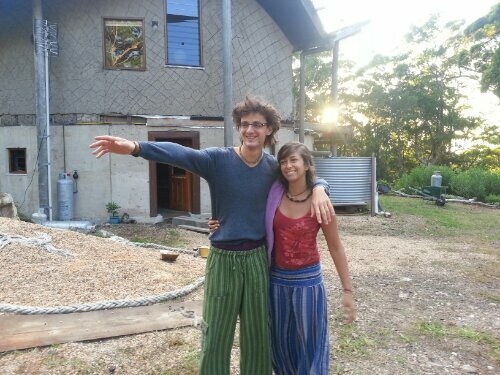 In Australia it is the earth builders association of australia. In the next post I will list the different earth building associations around the world.